Below you can view all the homes for sale in the Atlanta Country Club subdivision located in Marietta Georgia. Listings in Atlanta Country Club are updated daily from data we receive from the Atlanta multiple listing service. To learn more about any of these homes or to receive custom notifications when a new property is listed for sale in Atlanta Country Club, give us a call at 404-998-4102. From Open Foyer Straight Into Large Vaulted Great Room. MLS#6537309. Anne Tamm, Llc.. Buyer Is More Than Welcome To Use Their Own Builder. MLS#6536502. 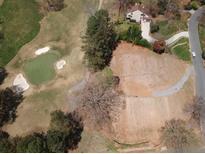 City Commercial Investments, Inc..
Just Under An Acre - Perfect Opportunity To Build Your Dream Home On One Of The Most Exceptional Lots On The Atlanta Country Club Golf Course. MLS#6501911. City Commercial Investments, Inc..
Add The Convenience Of Buckhead Just Minutes Away, East Cobb’S Top Schools, And An Abundance Of Recreational Areas Close By, Make This An Easy Decision. MLS#6534137. Keller Williams Rlty-Ptree Rd. Easy Access To The Home Along Columns Drive Or Paper Mill Road. MLS#6532270. Atlanta Fine Homes Sothebys International. 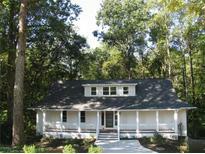 Panoramic Views Of The Chattahoochee River, Lush Flat Private Backyard, Inground Pool And Screened Porch MLS#6531861. Beacham And Company Realtors. Superb Craftsmanship & Designer Finishes. A Must See! MLS#6527337. Atlanta Fine Homes Sothebys International. Best E Cobb Schools, Nearby Parks, Restaurants, Easy Access To Suntrust Park & I-75. MLS#6526112. Harry Norman Realtors. Hardwoods On Main, Sprinkler System, So Much Storage. Sope Creek, Dickerson, Walton Schools. MLS#6526093. Keller Williams Realty Atl Perimeter. Four Levels: Master + Foyer On 1St, Kitchen, Great Room/Dining On 2nd 2 Bedrooms + Bath On 3rd And 4Th Levels. MLS#6524122. Xrealty.Net, Llc..
Trifecta Of Best Schools & Easy Commute! ! MLS#6520481. Anne Tamm, Llc..
Clean Lines In White Shaker Style Kitchen With Gas Cooking Plus Built-Ins & Desk. Sunny Bkst Room. Screened Porch. MLS#6520486. Anne Tamm, Llc..
With Lot Value On The Golf Course Ranging From $800,000 To $1.2 Million, This Means The House Is A Steal With The Lavish Landscaping, Magnificent Pool With Gazebo with Fireplace, Master On Main Level, New Kitchen In The Mid 2000'S, Full Finished Terrace Level With 2nd Kitchen, Wine Cellar & More. Hurry! ! MLS#6503473. Berkshire Hathaway Homeservices Georgia Properties. Beautiful Lot With Babbling Brook And Deer Passing Through Frequently. MLS#6503502. Keller Williams Realty Atl North. Home Comes With A Full 1 Year Home Warranty. MLS#6501772. Mark Spain Real Estate. Finished Terrace Level With Second Kitchen And Inlaw Suite. MLS#6121393. Beacham And Company Realtors. Enjoy Coffee Or Wine On Private Balcony MLS#6119113. Beacham And Company Realtors. Finished Terrace Level Offers Gentleman'S Bar, Gym, Billiards, Kitchen & Guest Suite. MLS#6116920. Atlanta Fine Homes Sothebys International. Perfect Home For A Growing Family Or Empty Nesters. MLS#6109354. Macallan Real Estate, Llc. Home Is Priced Considering Updates A Buyer May Want But Not Needed. MLS#6095051. Harry Norman Realtors. Features Include: Large Flat Riverfront Lot; Family/Great Room With Vaulted Ceilings, Wet Bar And Views Of The River; Gourmet Kitchen With Large Island, Granite Countertops, Gas Range And More Views To The Flat Backyard And River; 2 Expansive Master Suites With Updated Bathrooms; Inviting Separate Living And Dining Rooms; Exercise/Bonus Room; Apartment With Separate Bedroom, Full Bath, Living Room, And Kitchen; Screened Porch, 3 Car Garage; & Much, Much More! MLS#6065673. Harry Norman Realtors. Exceptional Custom Estate Nestled On 1.3 Acres In Prestigious Atlanta Country Club*Rich W/Timeless Quality & Design Yet Exuding Warmth & Character*Show-Stopping Features Include: Spacious Formal rooms, Exquisite Millwork, Intricate Ceiling Details & Hearth Room Accented W/Reclaimed Beams*Chef'S Kitchen With High End Appliances &, 2 Granite Islands Opens To Hearth Room With Stone Firepl*Lux Owner'S Retreat On Main W/Sitting Room & Stone Firepl*Mahogany Library*Unbelievable Terrace Level*Resort Style Living With Pool & Pool House W/Outdoor Kitchen*6 Car Garage*Seller Will Update & Paint! MLS#6046212. Harry Norman Realtors. (No Part Of The House Is In The Flood Hazard Area). MLS#6020764. Harry Norman Realtors. Enormous Wine Cellar On Main Level And Salt Water Aquarium In The Bar Area Are Only Two Of The Additional Special Features. MLS#5637228. Berkshire Hathaway Homeservices Georgia Properties.